As much that im embarrassed to admit this, but the truth has to be told that i have smelly feet each time i take off my footwear. Im not too sure if its my feet or footwear, but its usually when im out and when my feet get all sweaty. I know, eww. So today, my purpose of writing this would be to share to you about my latest discovery to solve your smelly feet problems. 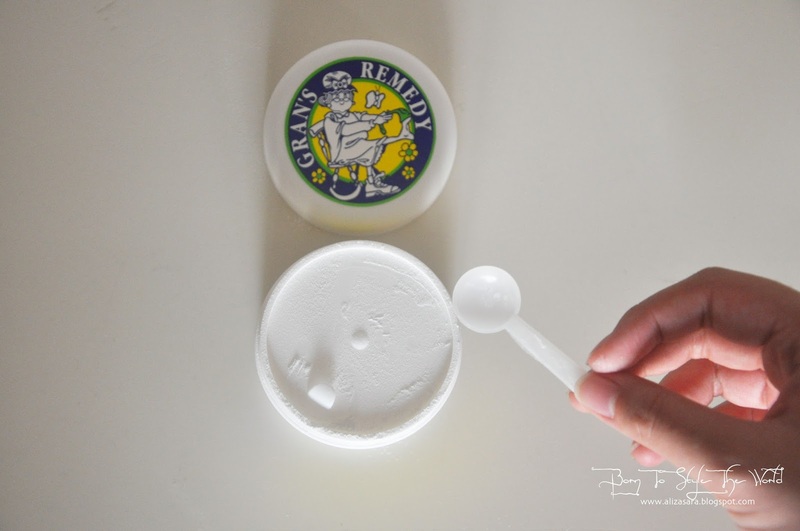 Each tub of Grans Remedy comes with their own spoon! I think we all know that our feet are the natural habitat of bacterias, and they thrive on sweat and dead skin. And these bacteria's are the reason behind the stinky smell. So when your pair of shoes are sealed nicely to make you feet sweat, apparently you've created a feast for bacteria. I was introduced with Grands Remedy to solve my smelly issue, and it claims to be the perfect remedy for smelly feet and footwear. The packaging doesn't look as attractive, but it does give a feel that the recipe has worked for years, making it a great representation of Gran's Remedy. Now, lets find out if it is THE solution to smelly feet & footwear. 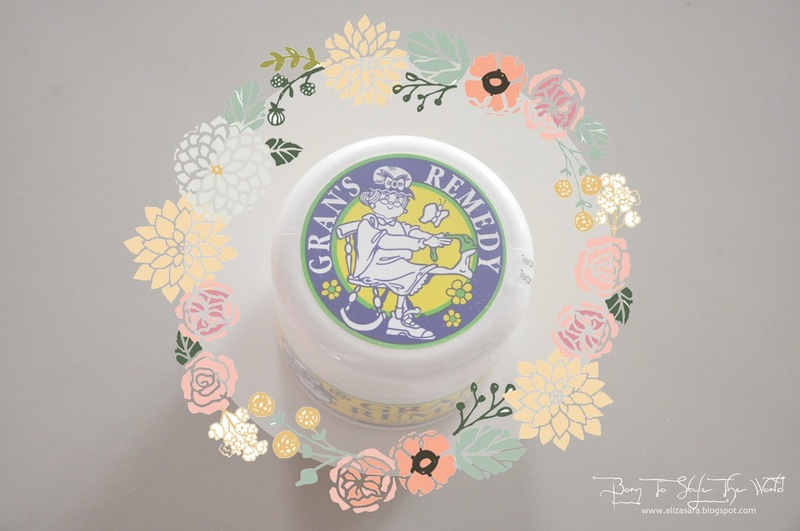 Each tub of Gran's Remedy contains about 50 gms, and its sufficient to last you a week, to give you six months protection from icky bacteria and stench. First, shake the tub well to make sure the ingredients are well spread out. Next would be to place a spoonful of powder in your most worn shoe, once a day for the entire week. And thats it! 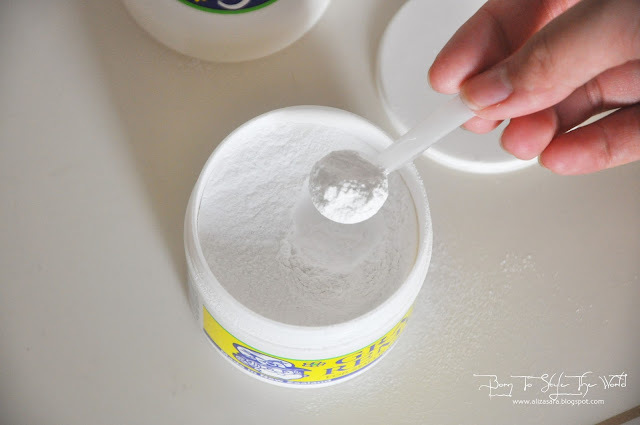 Spread the powder like so. 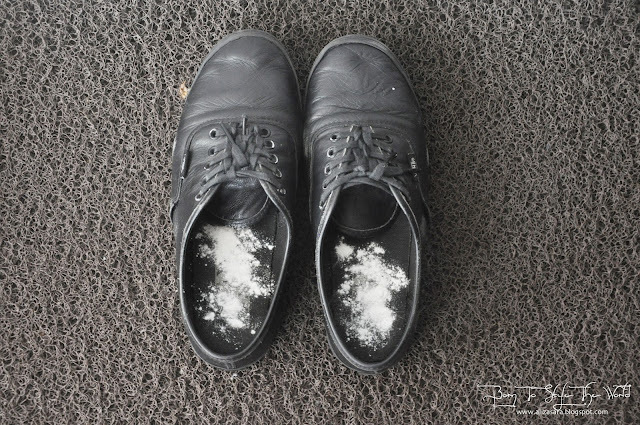 After a week of usage, it should leave your shoes, and you feet without any odour. But since i know that my feet are clean and clear from bacteria, i decided to take extra pre-cautions to wash my feet before walking in my favourite pair of shoes, just to make sure that the treatment last longer. 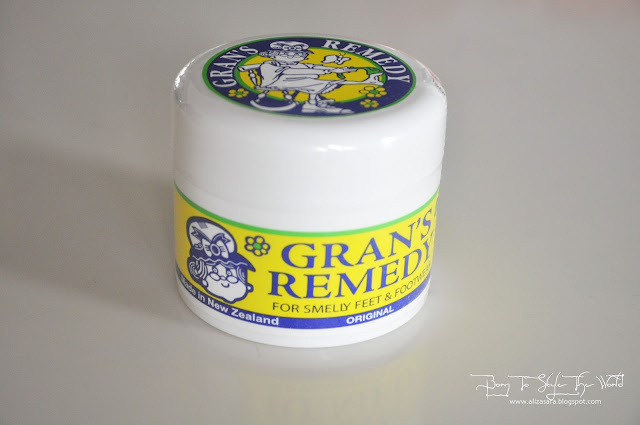 If you have any open wounds on your feet, it is not advised to use Gran's Remedy, until your would is heal. The ingredients might be reactive to open wounds, and we wouldn't want them to fight with the wrong bacteria. 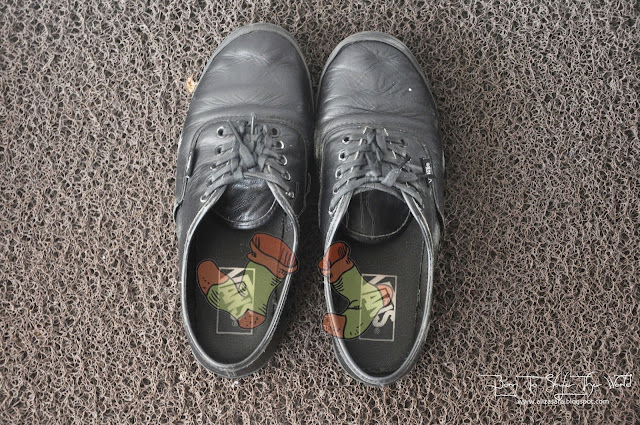 After about a week of using Gran's Remedy, my shoe which has been collecting my pile of sweat each time i wear it has not left any smelly scent on my feet every time i take my shoes off. MAJOR LOVE! Now i can walk around confidently without worrying about how bad my feet smell. Would i recommend this? YES! If youre wondering, my shoes are about 3 months old with leather lining on the inside. So you can imagine how bad leather and sweat smells. 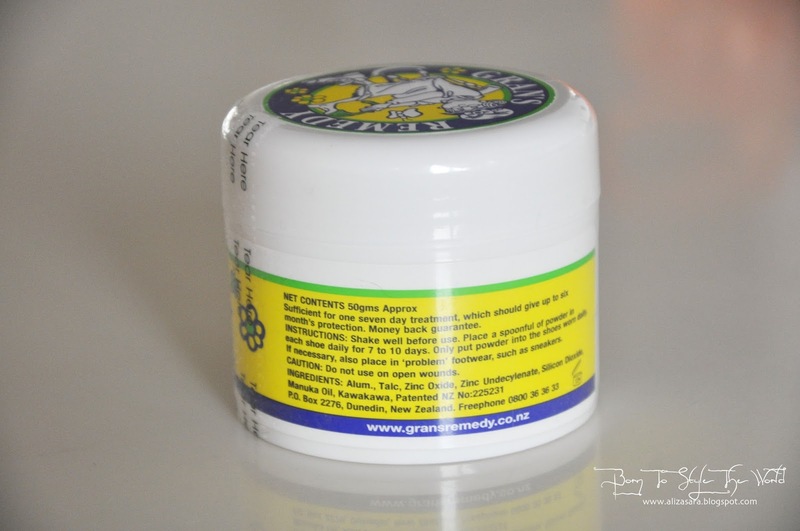 But Thanks to Gran's Remedy, it left my shoe feeling fresh without harming the material. Some information on the content. 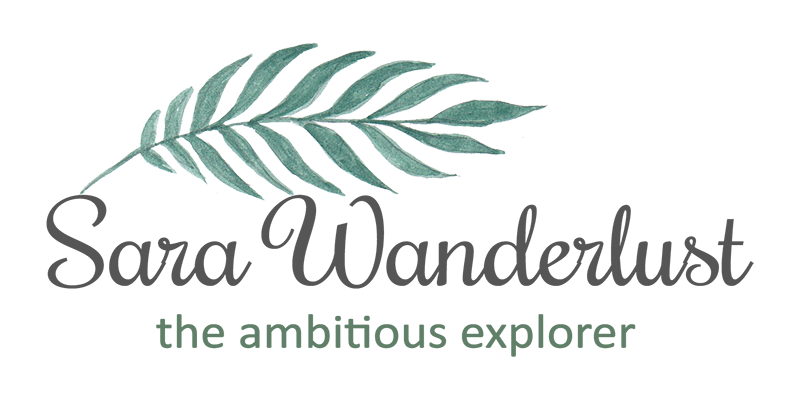 Psst, i heard they're having pretty snazzy promotions that you wouldnt want to miss online. Thanks for reading and if you have tried Gran's Remedy out yourself, do share your experiences below. 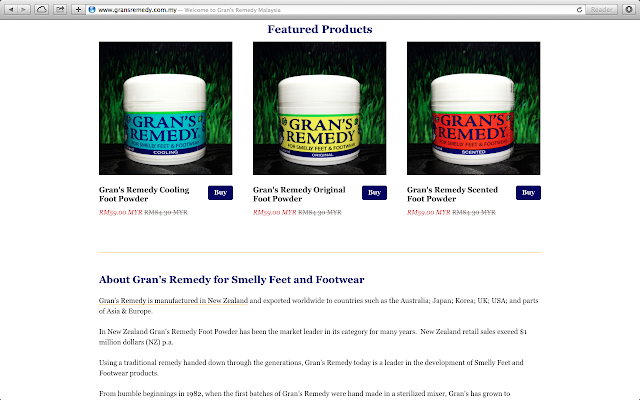 Would love to know how it works on you as well ;) Be sure to visit Gran's Remedy's Official Website if you would like to read up more on it, or if youre up for their social media updates, be sure to visit their Official Facebook Page for promotions and discounts. 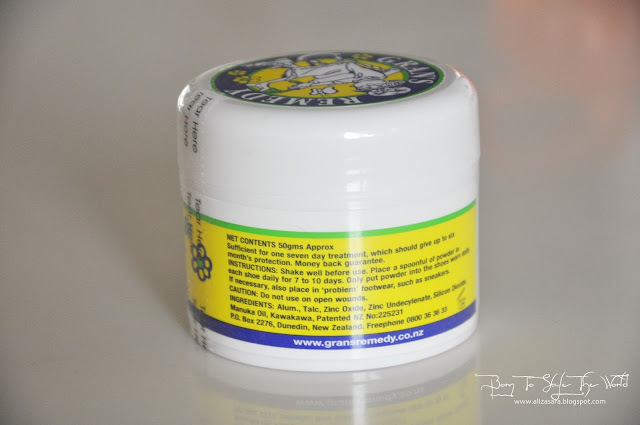 To better smelling feet for a confident you! interesting. never tried it before but will check it out if i stumble upon it. This is good for people who have smelly foot problem. Is it this only available sell online but no market? hahaha.. the packaging is super cute. My dad needs this for this golf shoes... and his car boot!! yeah I using this too, good to use for a long time. Hehe.. even my dear likes to use it. I don't they have this physically in stores right? Means need to buy online? Would love to try them though hehe. heard about this a lot! look good for smelly feet but not necessary smelly , right! This is born for me!!!! I have a pair of smelly leg.. :( I gonna check it out soonest! This is interesting !! I want to buy this to try! Some of my shoes smells really bad!! This really a good products. My bf did not have this stink foot anymore. hurray. saw some reviews on the web for this, and all states it really works! can't wait to try it soon too. A useful product under Malaysia weather and heard lotta good reviews. Seems like a great remedy for my hubby. No more smelly shoes. This is interesting never heard about this before. Thanks for sharing!